Kids enjoying the Peregian Beach Community Kindergarten Easter celebrations. 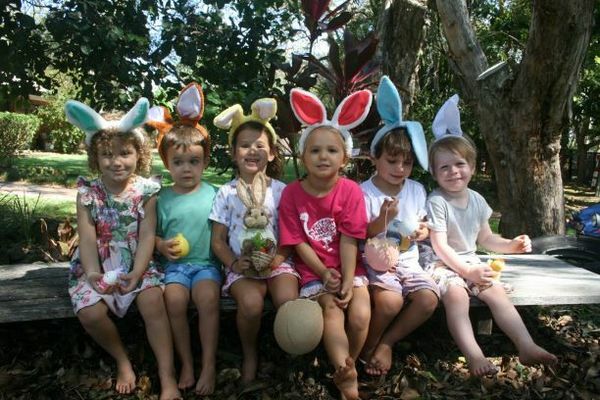 The Peregian Beach Community Kindergarten has been nurturing, educating and growing with families in the same location for the last 33 years. They are inviting past, present and future students, and the local community to join them for their annual Easter celebrations. There will be loads to offer the kids with Easter craft activities, face painting and even a visit from the Easter bunny. Kids and adults alike will be able to go and search through all corners of the outdoor areas to find delicious hidden eggs. There will be homemade healthy morning tea treats offering vegan, gluten free, and paleo choices, with vegan ice cream and an organic sausage sizzle. Don’t miss the festivities Sunday 31 March from 10am to 11:30am at Peregian Beach Community Kindergarten located on Rufous Street, Peregian Beach. This is a plastic free event with a gold coin donation upon entry.